Youth Evangelical Fellowship New York University club fest outreach was successfully concluded last Wednesday. President Renee made a design for flyer. The staffs met many students who are looking for clubs on campus. Most of them were freshmen, sophomore or transferred students. After 3 and a half hours evangelism and sharing God’s word with students, all staffs could testify that there are true quenchness and abundance in our lives when we share the gospel. 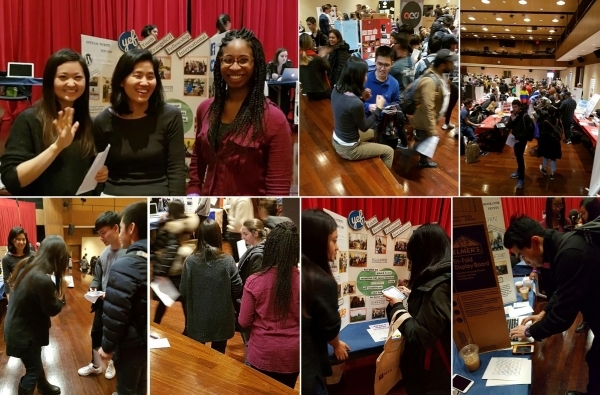 Many people responded to the invitation to join upcoming events of “Faith Talk & Bubble Tea.” Through engaging conversation about faith during the evangelism, YEF staffs were able to know the quest in many student’s life. Please pray that YEF can receive many precious souls this semester and raise them with unparishable truth of God’s word.